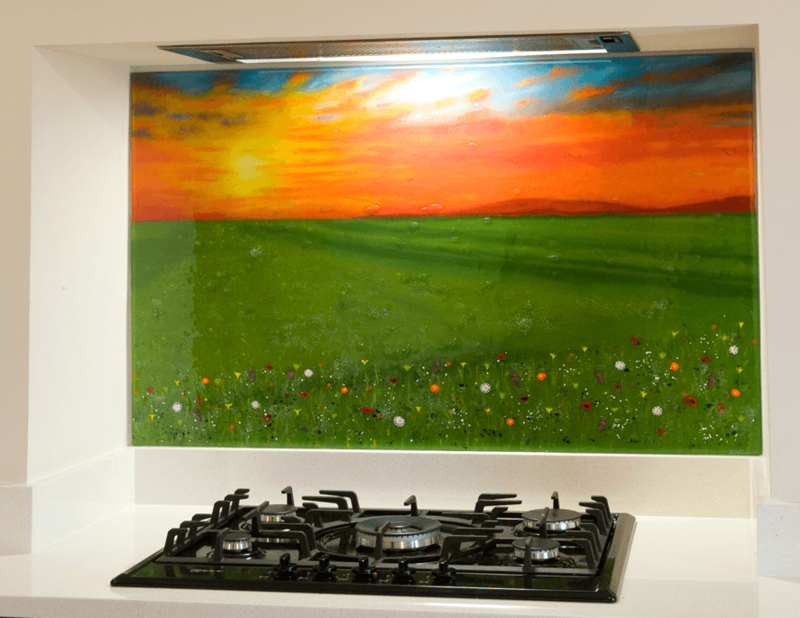 What are the differences between the bespoke glass splashbacks we make and more traditional coloured glass splashbacks? 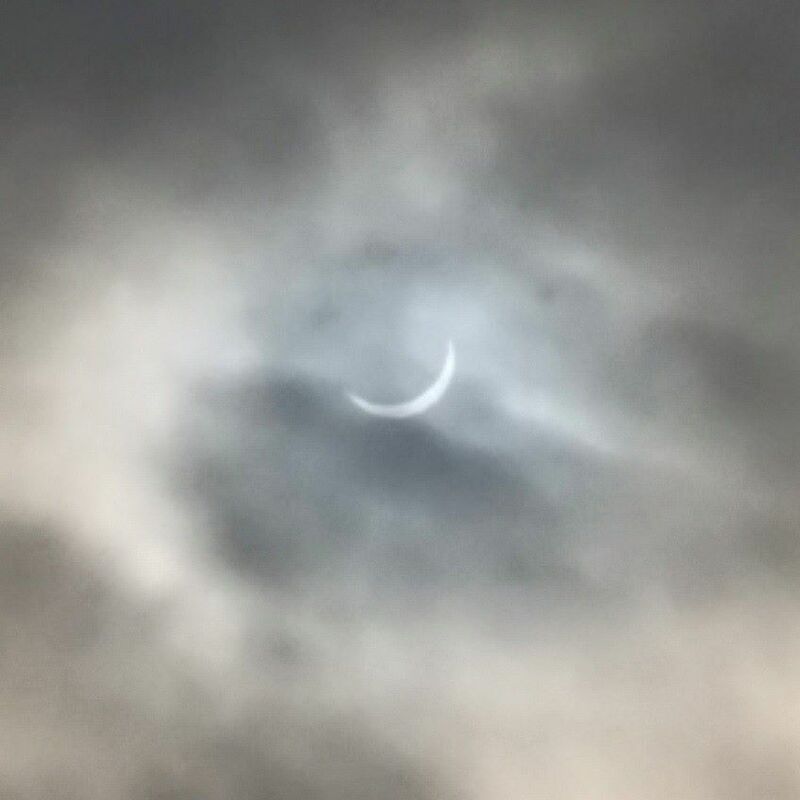 It’s a question we get asked a lot, so we thought we’d talk about it in today’s blog. The first major difference comes with the level of detail, and both the versatility and variety that comes with it. 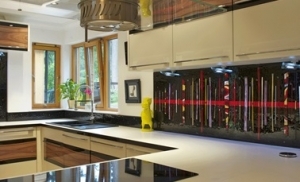 We often feel as if there’s a lot of missed potential with coloured glass splashbacks. That’s not to say that they don’t work in a kitchen, of course, as we’ve seen some lovely spaces incorporate them expertly – we just think that the space behind a cooker or around the back wall of a kitchen is a criminally overlooked area that can be central in transforming the room into something truly special. 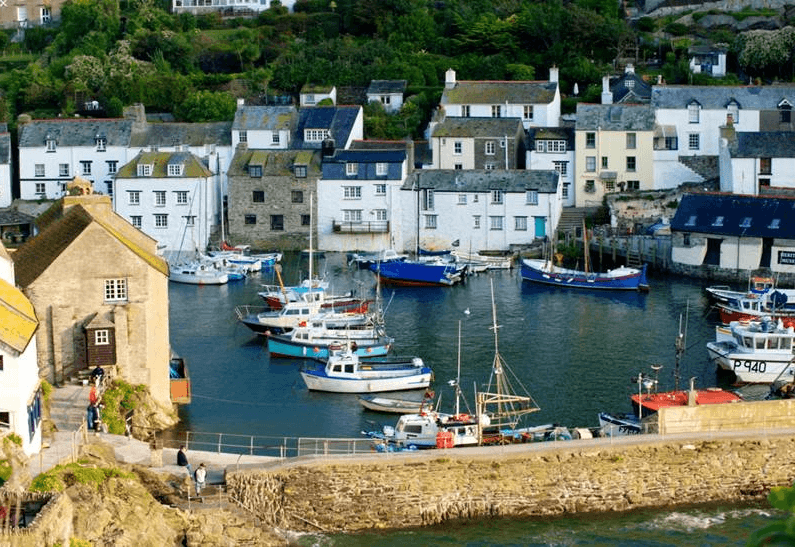 Take a look through our portfolio and see what we mean! 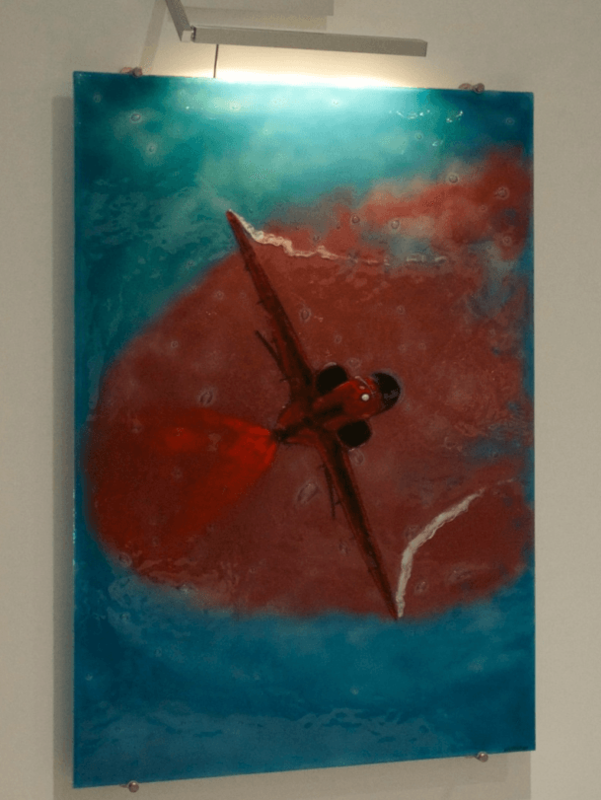 Another one of the key identifiers of fused glass art versus coloured glass definitely has to be the way that images can be incorporated. 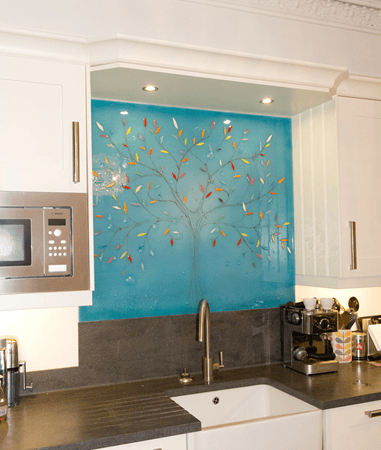 As mentioned before, coloured glass splashbacks tend to be a flat colour, which doesn’t leave much space for more evocative designs. 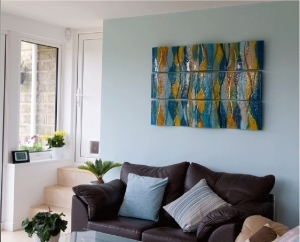 On the other hand, our fused glass art has a tremendous amount of potential to create anything from stylish Tree of Life designs to reproductions of classic Lowry and Monet works. We’ve even done portraits of pets, animals such as chickens, and more. In the end it’s all about your imagination, but the glass we work with is very much a blank canvas upon which your perfect design can come to life. 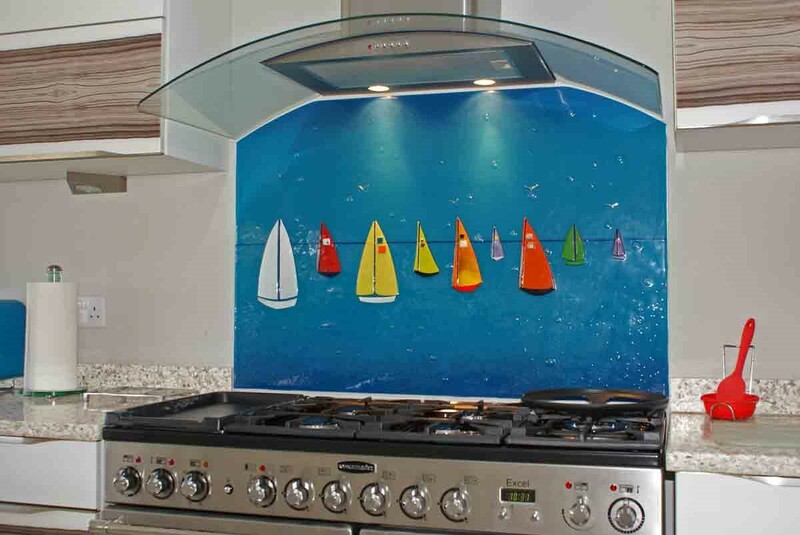 If you’ve been looking for something a little more exciting than traditional coloured glass splashbacks, then you definitely won’t want to miss out on what we here at The House of Ugly Fish could do for you. Every single piece we create is made by hand and bespoke, ensuring that our glass suits whatever space you have in mind no matter how simple or complex the design turns out to be. 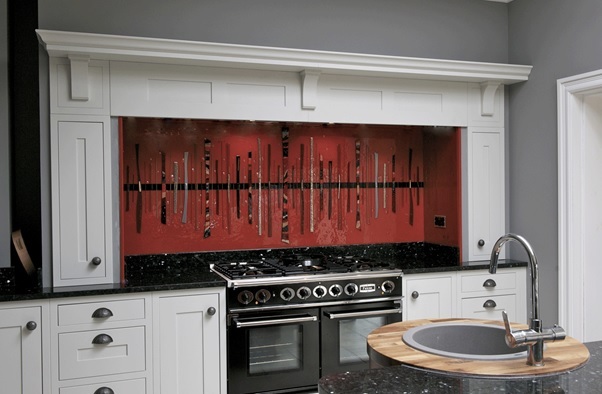 Make sure you don’t wait to pick up the phone or send us an email with your best ideas, and we’ll soon be sending you something that blows standard coloured splashbacks out of the water!